Dr. Gabor Fichtinger is the Canada Research Chair in Computer-Assisted Surgery and a Professor in the School of Computing at Queen’s. His research focuses on computer-assisted surgery and interventions, specifically on integrating and translating medical imaging, image computing, scientific visualization, surgical planning and navigation, robotics, and biosensors into clinical use. He also specializes in minimally invasive percutaneous interventions performed under image guidance, with primary applications in the detection and treatment of cancer. 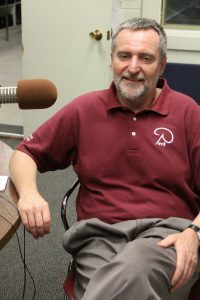 He has an active lab filled with many undergraduate and graduate student researchers, and is a Fellow of the Institute of Electrical and Electronics Engineers. 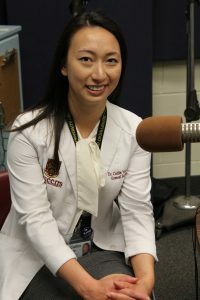 Dr. Caitlin Yeo is the incoming Chief Resident in Surgery, and a past Post-Doctoral Fellow with the Lab for Percutaneous Surgery under the supervision of Dr. Fichtinger. She has been a Resident in General Surgery at Queen’s since 2013, and she completed her Master’s of Medical Education at the University of Dundee in Scotland. Dr. Yeo collaborates closely with the PerkLab and other members of the School of Computing and Department of Surgery to bring innovative surgical techniques to patients. In this episode, they discuss the innovative NaviKnife, a miniature GPS system for surgeries in the operating room, as an improvement to the current guidewire in use. It provides a 3D virtual image that is more precise in the process of removing cancerous tissues than the current 2D method.